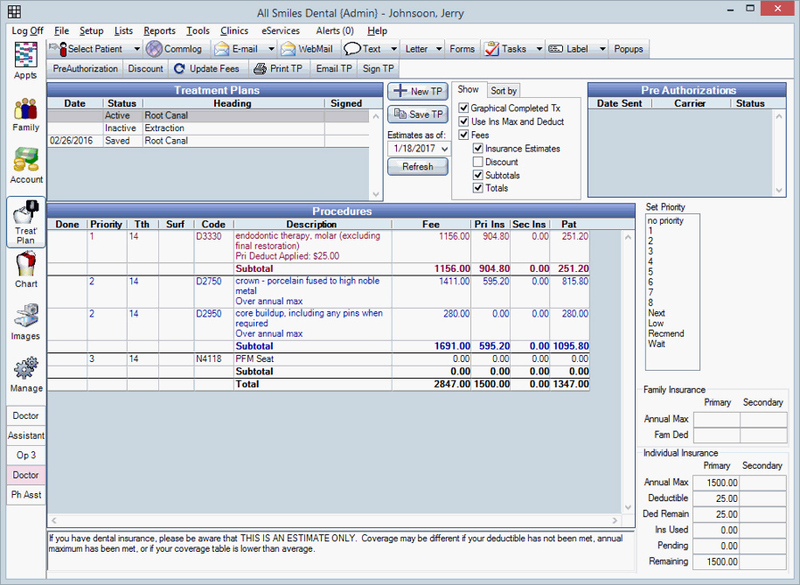 The Appointments module is the heart of the dental practice. From here you can see the appointments for the day or week at a glance, and easily manage and schedule appointments. The Chart module is where the clinical information is entered and organized for a patient. In the Treatment Plan module, you can manage and prioritize treatment plans for a patient. Treatment plans can also be created directly in the Chart module. The Images module is a place to scan and store most forms and letters that you would normally store in a paper chart. If you still use paper charts, they can be much thinner and cleaner. When you scan forms or images, they are saved as simple .jpg files, making them always available to other programs. In addition to scanning forms, you can also import any file type at all, including Word, PDF, and Excel formats. The Manage module contains miscellaneous management functions that don't apply to any single patient. Batch billing can be run daily, monthly, or per your practice preference. By default, patients only receive a bill if they have not been billed in the last 30 days. Using a kiosk allows patients to fill out forms (set up as Sheets) at a computer in the dental office. You can setup a workstation that is used as a kiosk only, or run the kiosk on a computer that is also used for other purposes. The kiosk is useful when you want a patient to fill out forms in the reception area or in an operatory. The kiosk takes up the entire screen, so patients have no access to any other programs on the computer, including Windows features such as task bars. 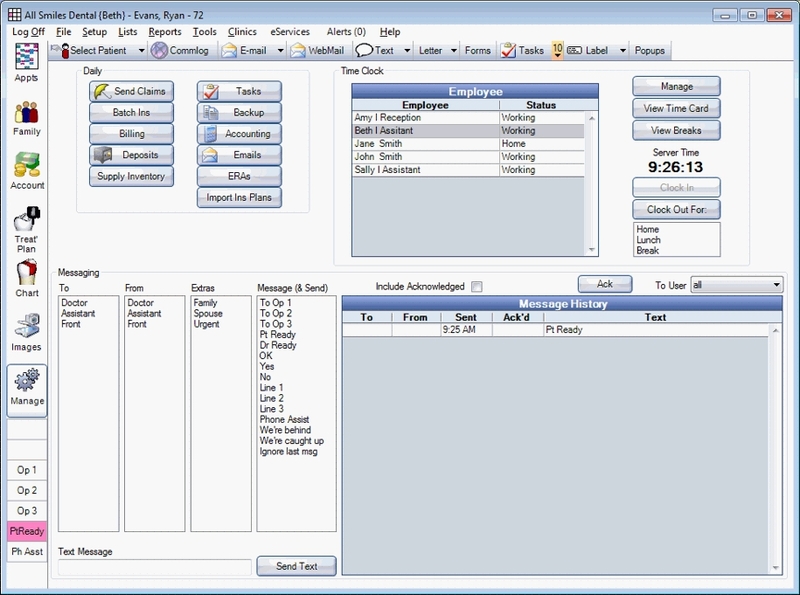 Below is an example of a form as it might appear in the kiosk.